We love a great wood fence. Chain link is always there for us with its cool functionality. And vinyl is always a great option with its customizable nature, but for versatility, functionality, and aesthetic appeal. Wood is still one of the greatest materials ever. If you think about it, there are few materials that have stood the test of time like good old fashioned lumber has. Whether you look back 500-5000 years, even farther back they all used wood in construction. Now, of course, the use of wood is evolved over the years into a stronger, more durable, and more long-lasting material. These days wood is treated in every way possible to make it better so you can get more value out of it. It’s a timeless material that deserves to be considered for any project. We hope to share with you some of the reasons why it’s still a great choice for your fence. Thanks to the balance of supply and demand, modern wood is very affordable. You might even say it’s cheap! Because it grows everywhere that even after it’s processed. It is now stronger, durable, and smooth. Your wood fence cost is still very low for the years of value you’ll get out of it. Here at Paterson Fence Installation, we employ timeless principles of construction with the latest techniques. And methods to build beautiful fences that last for many, many years. Although some can describe wood as being a forgiving material, details matter when you want to make things last. We use techniques to avoid wood splitting that can lead to premature deteriorating and rot. The wood we use is guaranteed to be strong, stand firm, and look great. Whether you want a modern style fence or a classic one wood can be used to make both of these aesthetics. It seems to have an innate beauty that nearly everyone can appreciate. It can be treated, stained, sealed, painted, shaped, cut, and more. All to create the perfect blend of old-school, modern, or somewhere in-between. It’s always a great pleasure for us to build a beautiful wood fence. And when you have a great one you can feel confident that it’s going to look great. 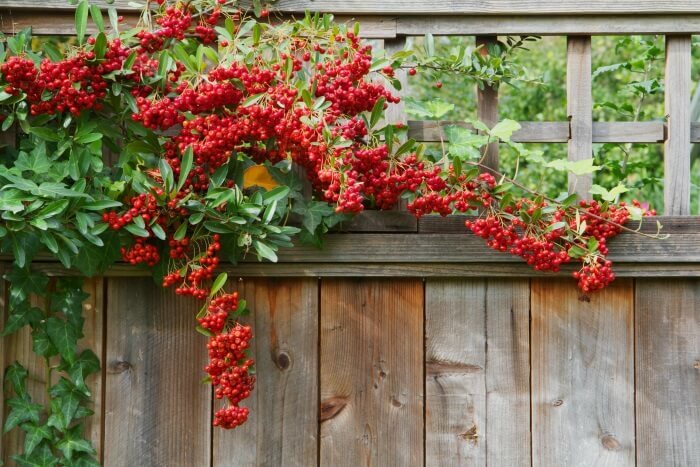 The last big bonus of using wood for your fence is its incredible, natural strength. Despite all the wear and tear, moisture and humidity, harsh weather, and relentless abuse by our climate. Mother nature seems to have given trees a natural strength and resilience. Combining with modern methods of extraction and treatment wood fences are the perfect blend of strength and beauty. Depending on your needs for privacy, security, branding, or anything else, it’s always worth considering this material for your project. If you need a fence built and you want it built right, call us today. Our simple process begins when you contact us by phone or by email. We’ll chat about what you need and want. From your design preferences, your end goal, and so on, and then we’ll schedule a free inspection to confirm. Once we set a date, we’ll come out and do what we do. Building a strong, beautiful fence for you!